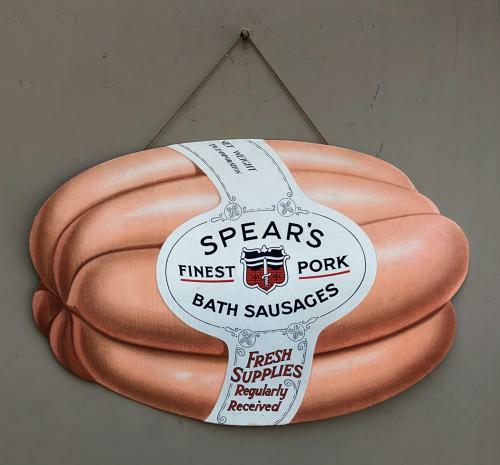 Fantastic Condition Large Early 20th Century Shops Advertising Sign for SPEAR'S FINEST PORK BATH SAUSAGES. It is absolutely immaculate and came from the Old Spears Factory in Kent which closed down in the 1970s. Cardboard with the origianl string to hang - re-attached on one side. A great display piece in the best condition I have ever seen one in.